Theo’s first year was the longest and shortest year of my life. At times, the days and nights (which blended into each other) felt incredibly exhausting, interminable, lonely, sad and difficult. Having a baby made my life explode in an inexpressible way; nothing was the same, and it was overwhelming and challenging, to say the least. The first six months were particularly hard. 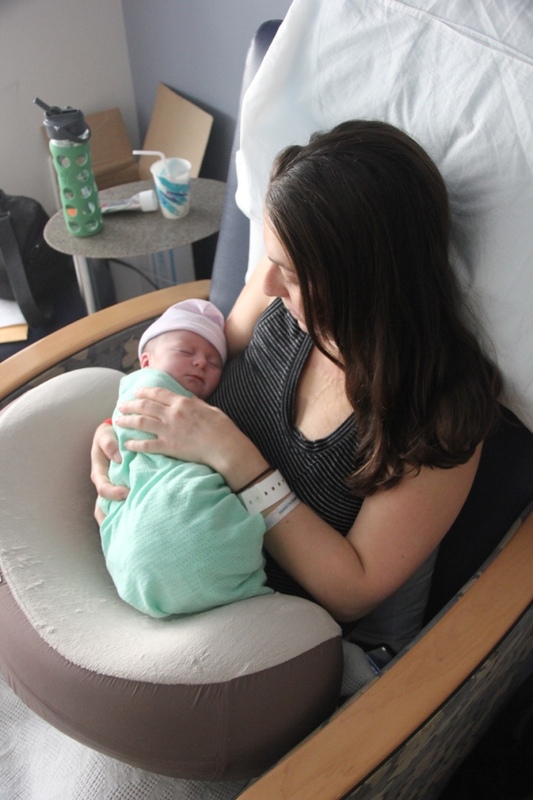 I struggled with terrible anxiety and postpartum depression, as well as a tough physical and emotional recovery from an extremely difficult and ultimately traumatizing labor and birth. Ben and I grappled with adjusting to our new normal. It was so much harder than I could’ve imagined or than anyone could’ve told me. 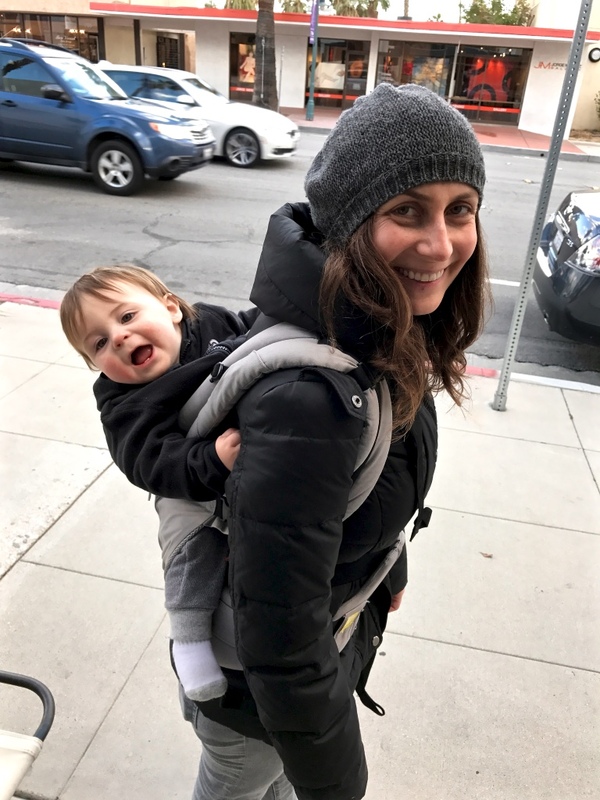 I was in survival mode for the first three months, which felt like an endless blur of diaper changes, breastfeeding, burping, bouncing on the yoga ball, swaddling and napping. Then, in months three to six, it moved into a new phase of reality setting in… Is this my life now? Will I ever feel rested again? Will I ever feel like myself again? Who am I? What did I sign up for here? I often felt sad, resentful and frustrated, lonely and lost in a fog of depression and exhaustion. Yet, there were so many beautiful moments sprinkled throughout the trying ones. There were firsts… The first time he smiled. The first time he picked up a toy and held it. The first time he shook a rattle. The first time he rolled over. The first time he slept through the night! Our first (plane) trip to NYC when he was four months old. The first time he really laughed hard - at our dog Zoe rolling around on the floor, of course! 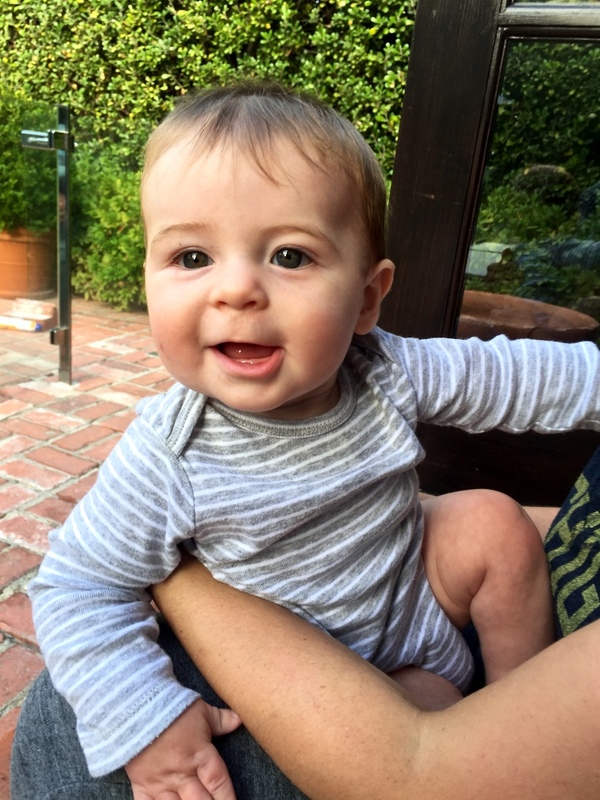 The first time he sat up on his own and crawled, both in Maui, just a few days before his six-month birthday. The first time he ate solids (avocado) and began his passionate exploration of food! The first time he said “mama” to me. The first time he snuggled with us of his own volition, crawling into our laps, sucking his thumb and burying his face into our necks. The first time he cried when I left, so sad and so sweet. The first time he crawled up the stairs in our house, zipping fearlessly to the top. The first abundantly joyous ride in his car. The first time he took a few steps on his own! The first time he put a round block into the circular opening in the shape sorter. The first time he hugged a stuffed animal. The first time he picked out a book and handed it to us to read to him. The first time he really seemed to understand what we said. The first time he clapped! The first time he had sweets on his birthday. There were rich sensory moments… His adorable stretching routine when he woke up from naps as a very young baby. His warm body snug on my chest in the carrier. His soft belly cozy against mine while sleeping with his mouth slightly open. His coos and adorable little sounds as a younger baby. His constant babbling as an older baby. His little mouth opening like a bird’s beak when he was hungry. His tiny, busy hands, stroking my skin or hair or holding my finger while breastfeeding, his eyes looking into mine with focus and love. The silky feel and pure smell of his warm skin. The delicious scent of his beautiful, luscious, soft hair. His long eyelashes at half-mast as he nursed. The solid, warm feeling of his chunky legs. His clean, sweet smell after a bath, swaddled in a towel. His arms reaching out for me to pick him up. His head tucking into my shoulder, nestling in. His constant return to me as a physical source of comfort. There were also countless moments that define the essence of Theo… His profound curiosity. His love for our dog, Zoe (more than she loves him!) and all dogs everywhere. His passion for food and eating, complete with moans and shrieks of pleasure: my main inspiration for this blog. His affection for music and musical instruments. His exuberant energy in our family bath, making us laugh and playing with us and his toys enthusiastically. His impressive walking abilities, characterized by great pride and confidence. 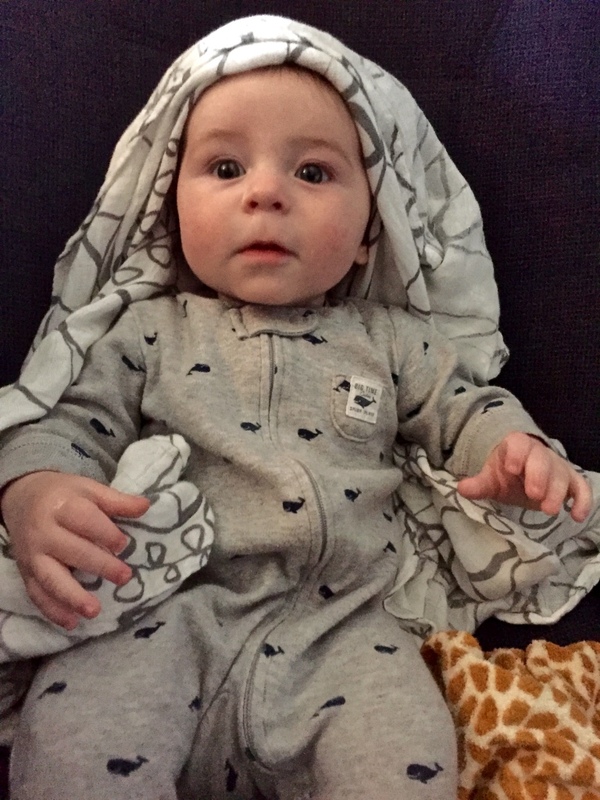 His infatuation with his lovey, a giraffe blankie, which he smiles at and snuggles with while carrying it around. His intense fascination with planes and birds in the sky, staring and pointing at them with his whole hand. His exploration of objects with deep focus and curiosity, turning them over and over in his two hands, inspecting them. His enthusiastic way of touching, tapping or banging anything new, exploring what it is, the sounds it makes and how it works. His passionate attachment to and delicate treatment of random objects, such as a spice jar cap or my water bottle lid. 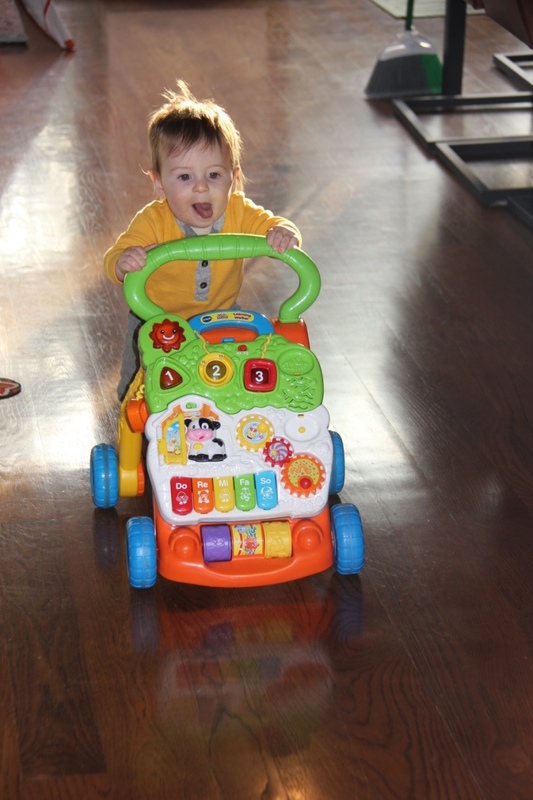 His ability to entertain himself while playing at home, or while singing and talking to himself in the car or his crib. His enthusiastic waving of his arms when he is excited or happy. His love of the kitchen and all of its pots, pans and tools. His zest for pulling all of the tea bags out of my tea box and playing with them, putting them into different containers. His glowing smile when I get him up in the morning or when I come home after being out. His gentle and kind nature. His cautiousness in new situations and with new people, taking time to warm up and feel comfortable. His genuine desire to connect and interact with the world. His love for and trust in us. I was not one of those moms that fell instantly in love with her baby. 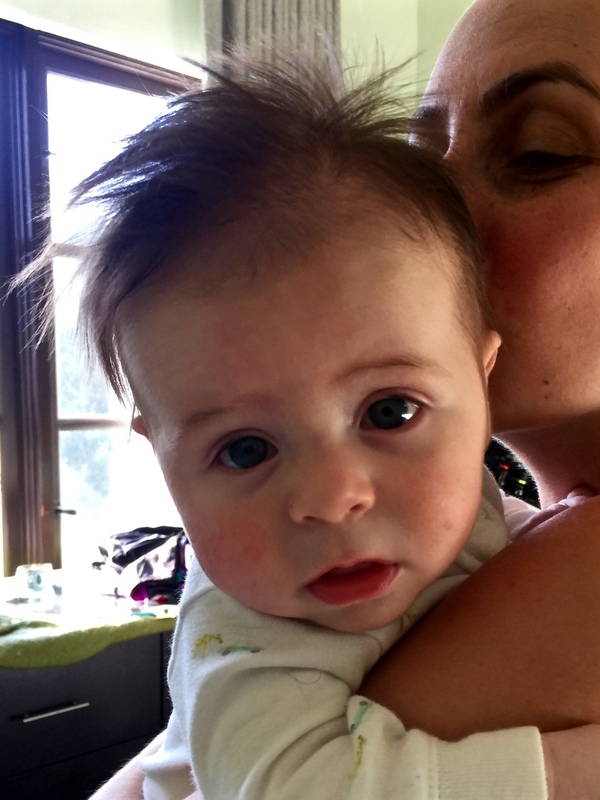 I have always loved and cared for Theo and wanted to protect him, but for many months I didn’t feel the blissful, deep love that other moms describe. Frankly, it’s hard to admit that. I felt guilty about it for a long time, but I realize now that it’s okay. I had a rough start into motherhood. It took some time for me to get to know Theo and get used to having him in my life. It took time for me to fall in love with him, as it does in other relationships. I have now, more deeply than I ever have with anyone before, and I am profoundly grateful to be his mom. Life will never be the same as it was before Theo. I will never be the same, and I wouldn’t want to be. I cannot imagine my life without my little man. 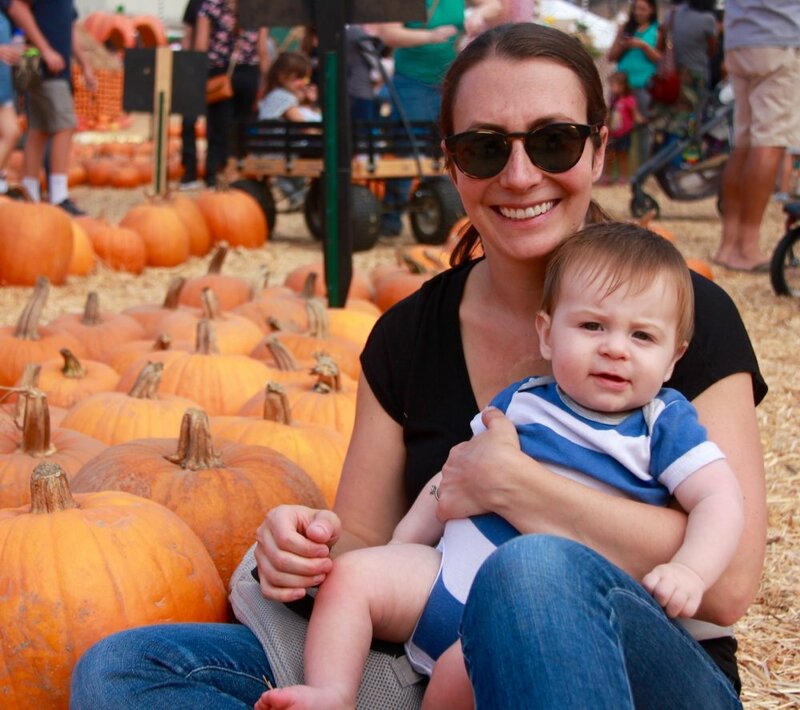 Ultimately, motherhood has made me a different, better person. I am more patient and kind, more present and relaxed, more aware of the little things. Theo helps me see small joys and successes every day. He helps me live in the moment and experience the world in a new way through his fresh, bright eyes. Theo’s first birthday was bittersweet in many ways. He has changed so much and is now a toddler, not a baby. It is sad to see him grow up so fast. Where did the time go? On the other hand, it is exciting to look ahead to the future. I know he will continue to amaze me in countless ways. He will start talking more within the next six months... although it is hard to imagine! 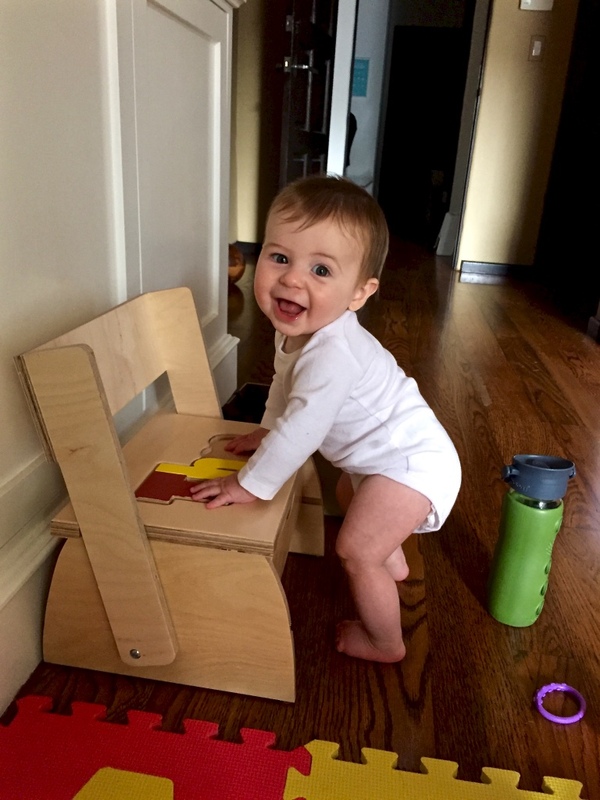 His walking and physical milestones will continue to progress, and he will keep exploring, discovering and learning new things. Theo’s first birthday also marked the end of our year of breastfeeding. I am very proud that he was exclusively breastfed for the whole first year of his life. That was my goal and I made it! It was a wonderful experience for me, one that I will cherish forever. Of course, there were exhausting and challenging times when I didn’t believe I’d make it, but I am elated that I did. Breastfeeding Theo for his first year of life is one of my greatest accomplishments. It was amazing to nourish my son’s life from my body from the time of his birth until a little beyond his first birthday. It made me feel strong and empowered and valuable. We have a beautiful, unbreakable bond from it. While I am sad that it is over and he doesn’t need me in that way anymore, I believe that we will always be deeply connected because of it. We are beginning a new journey now. Theo will become more independent and communicative. I am excited to see his personality and preferences shine through even more. I can’t wait to get to know him even better and discover the world anew with him. It is the greatest privilege of my life.